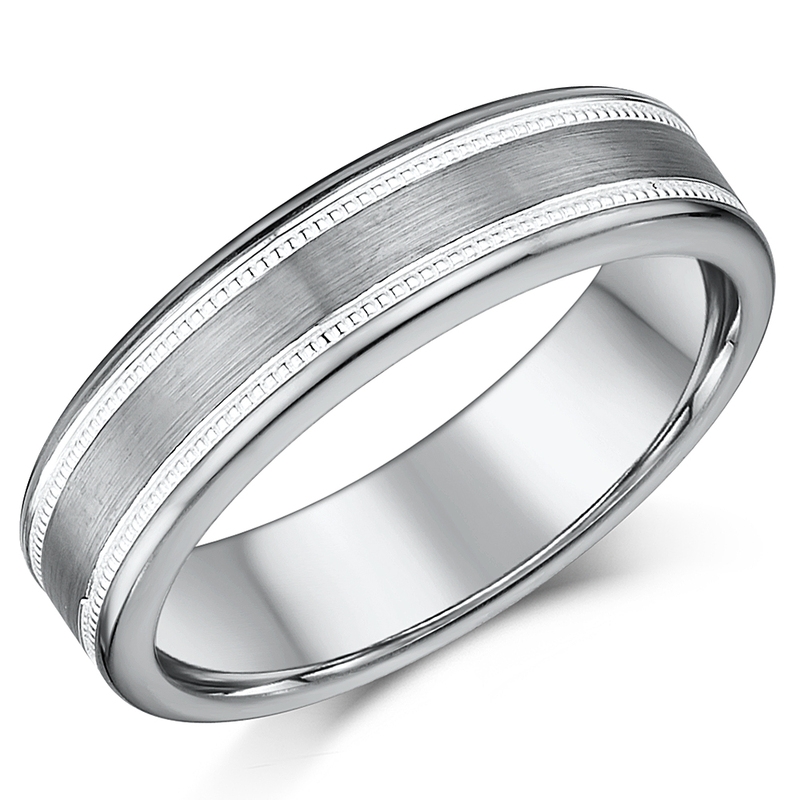 You do not need to settle for a plain looking wedding band if you are looking for pieces with more intricate design elements. 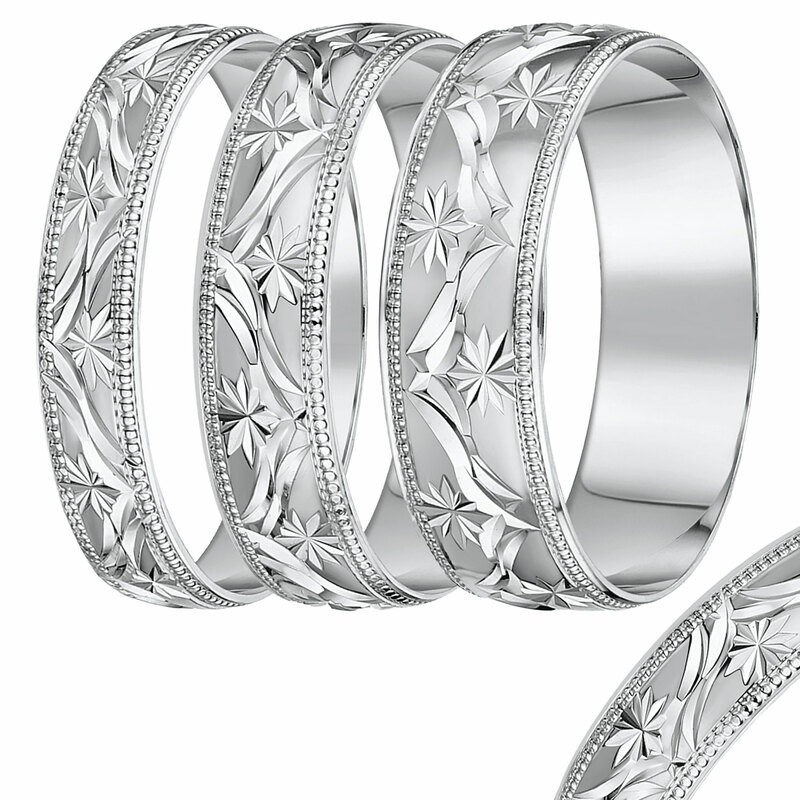 We at Elma offer you a collection of white gold patterned rings for women. 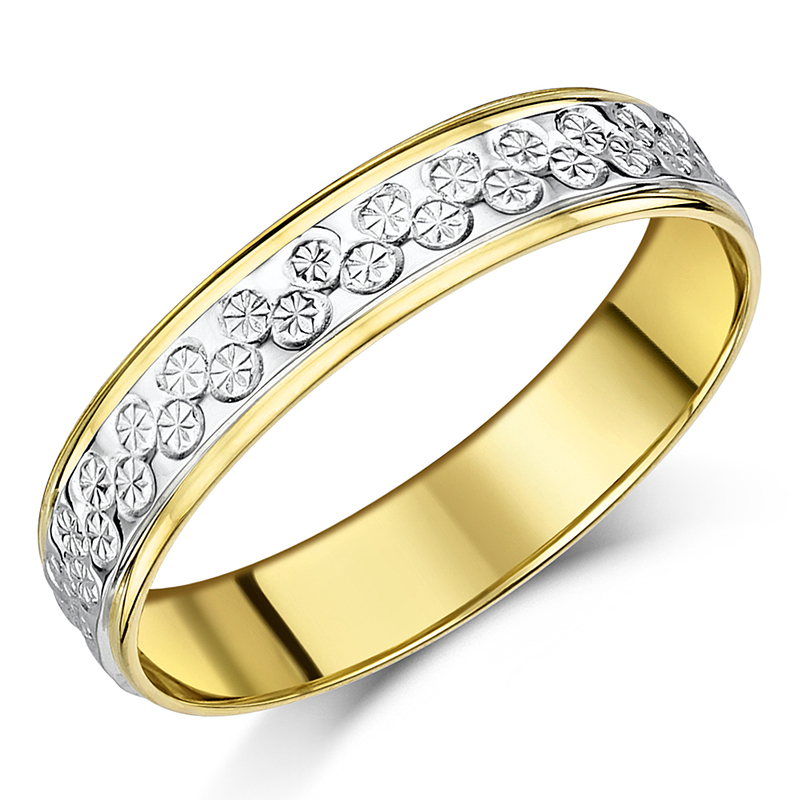 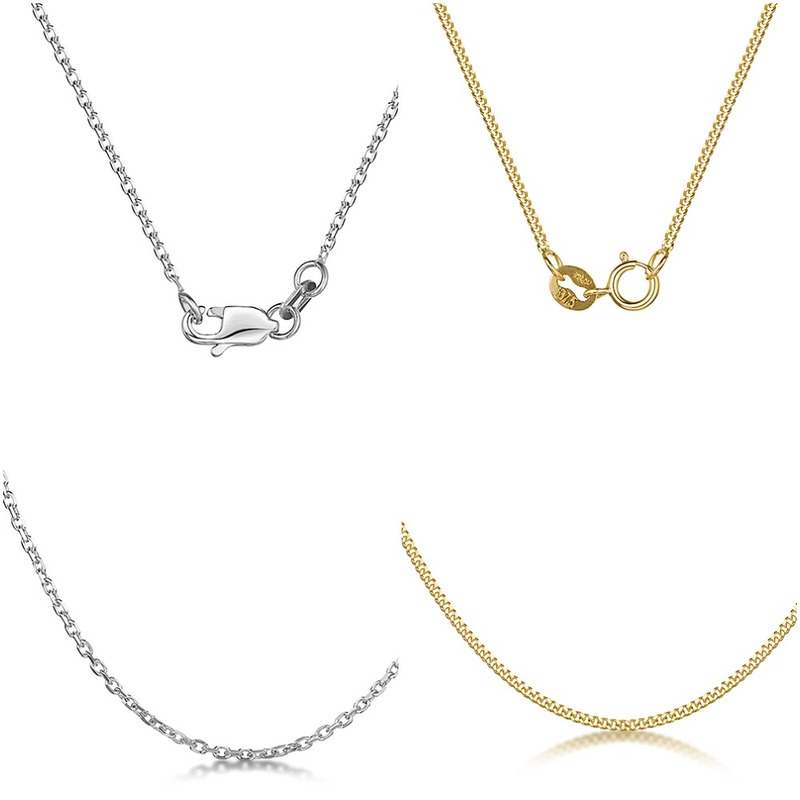 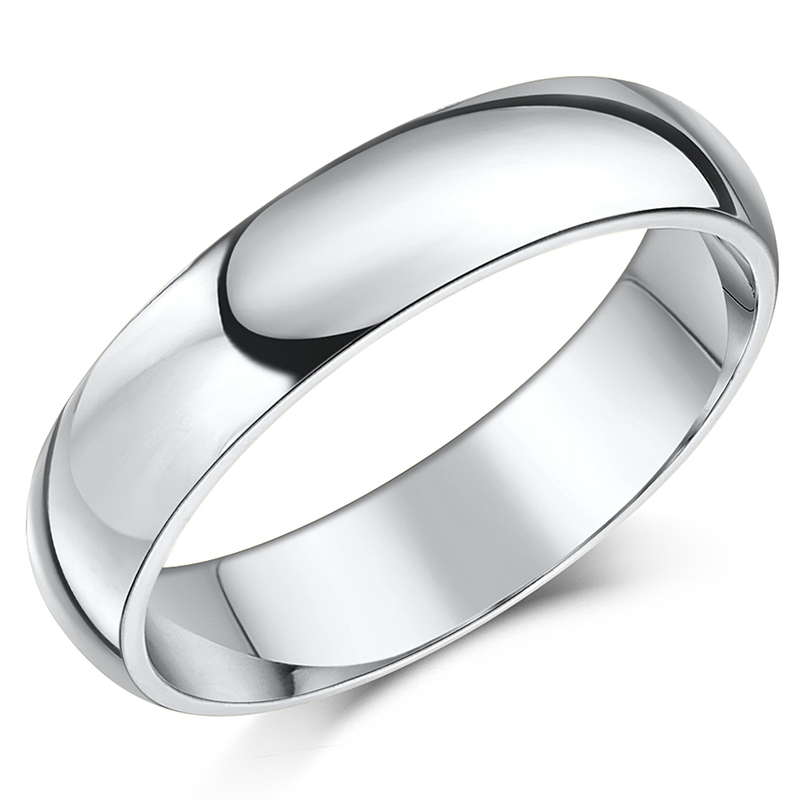 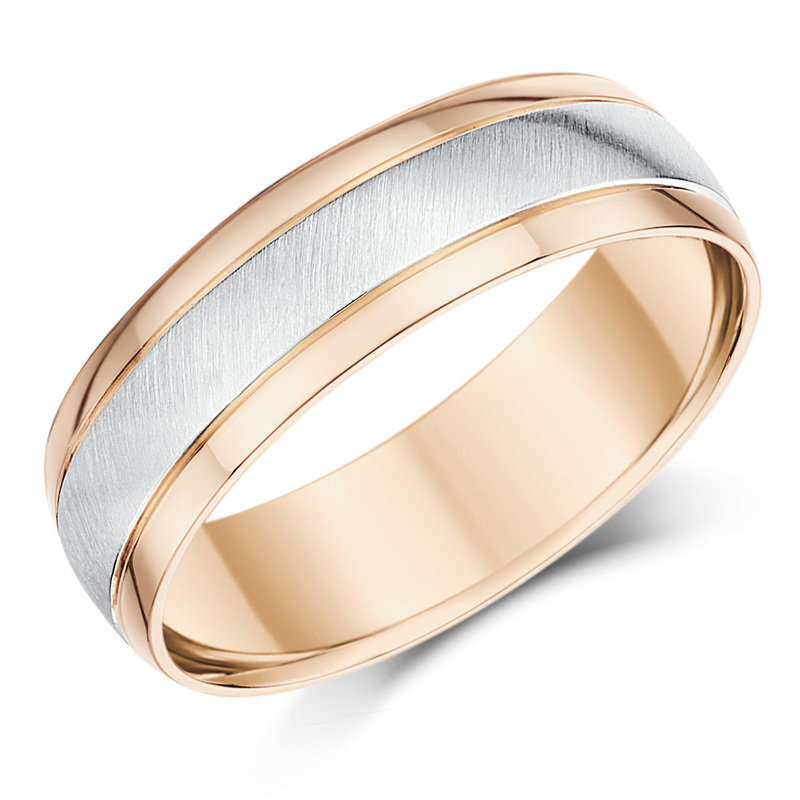 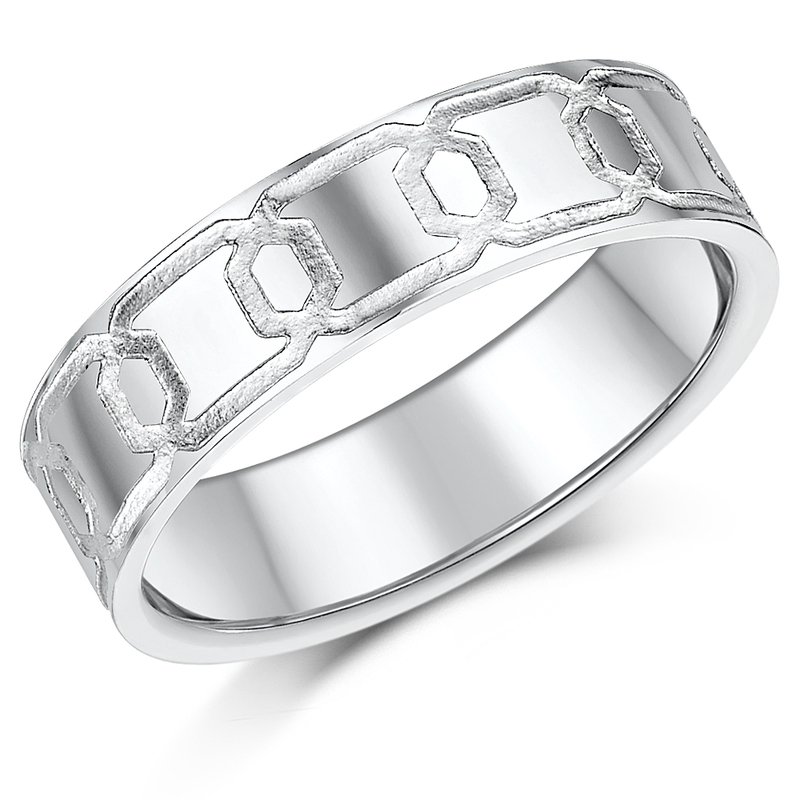 White gold is an alloy made from gold and white metals such as palladium, silver, magnesium or nickel. 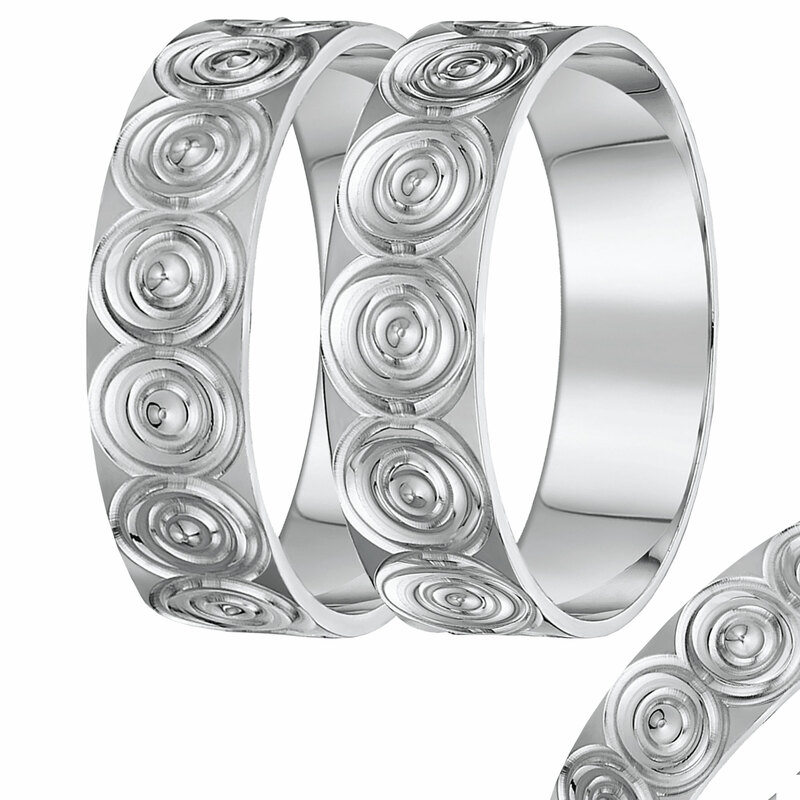 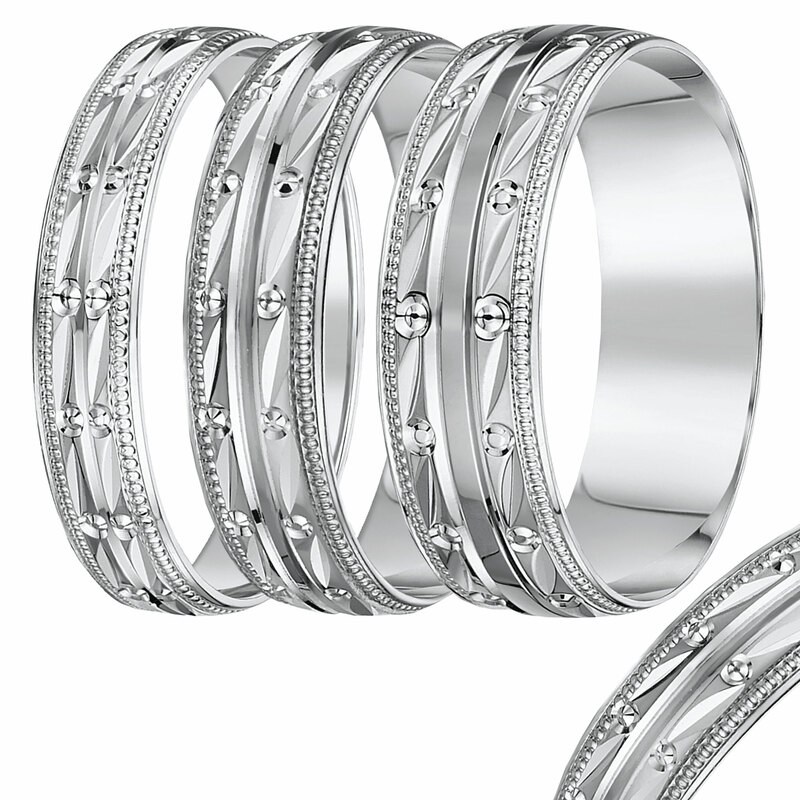 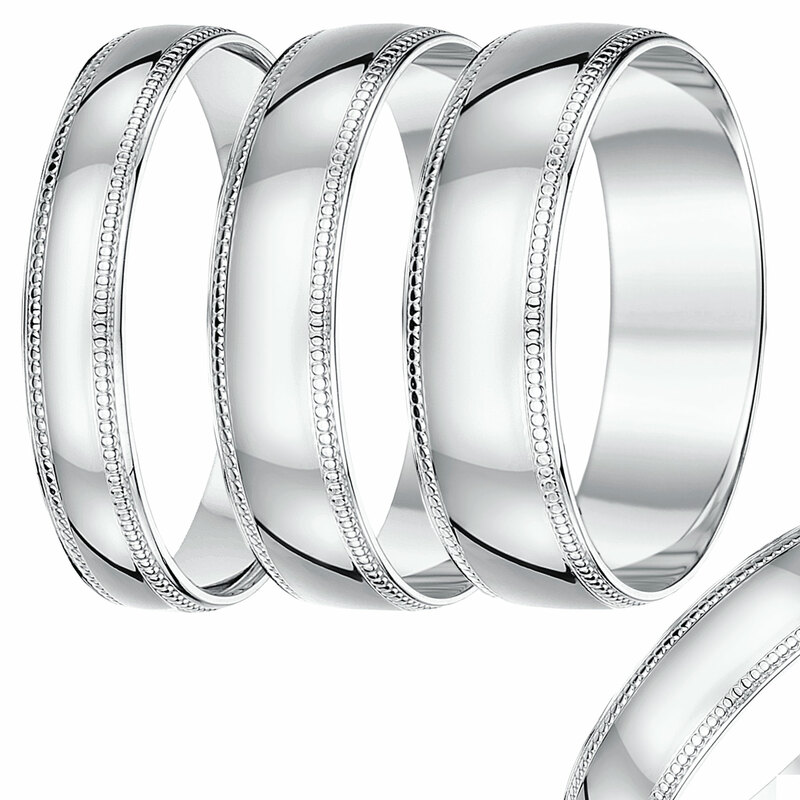 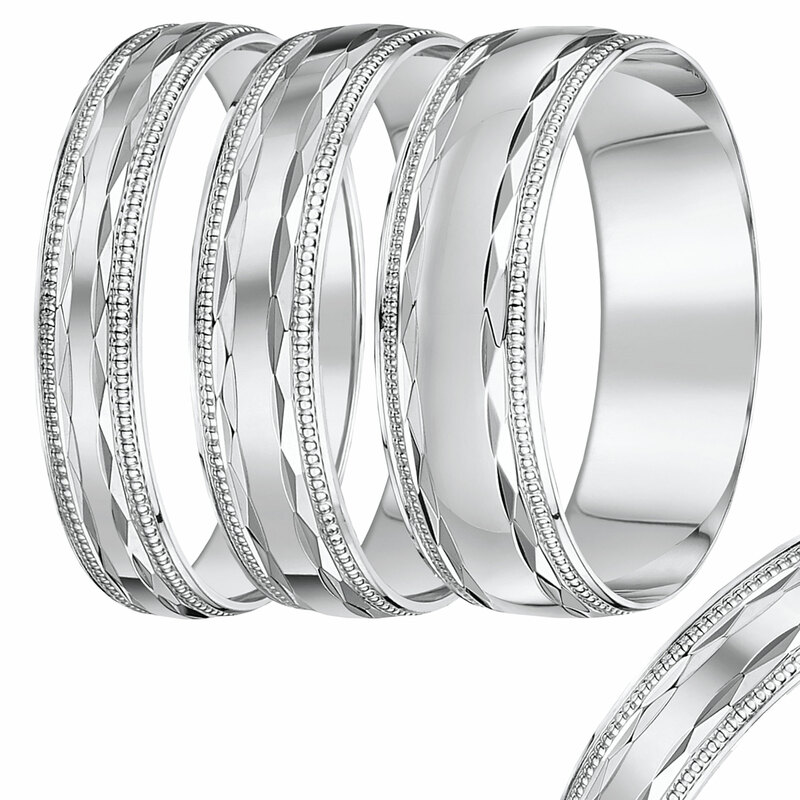 Our 9ct white gold ring collection gives you enough to choose from. 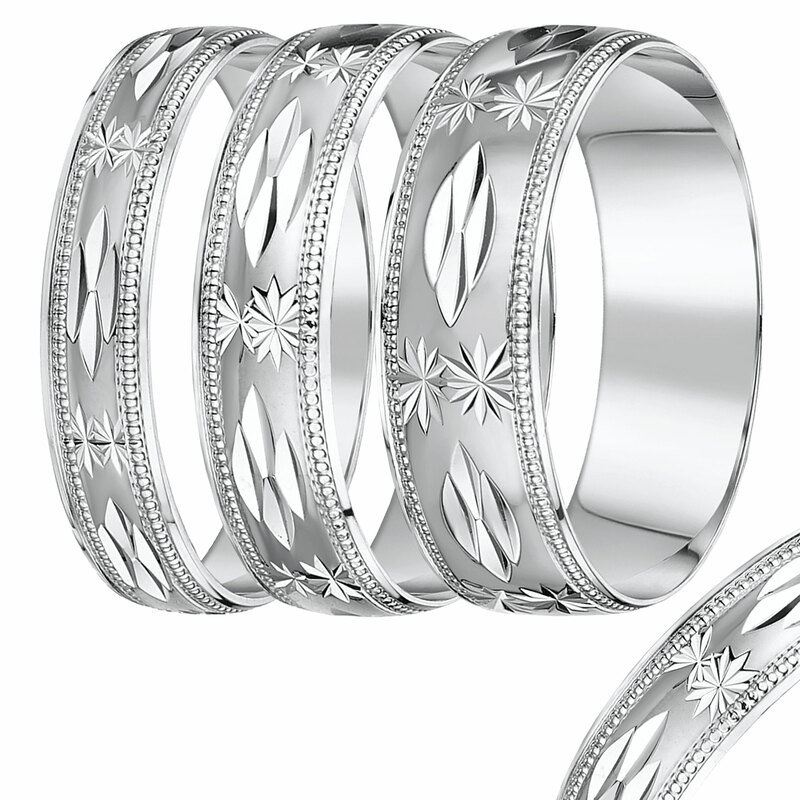 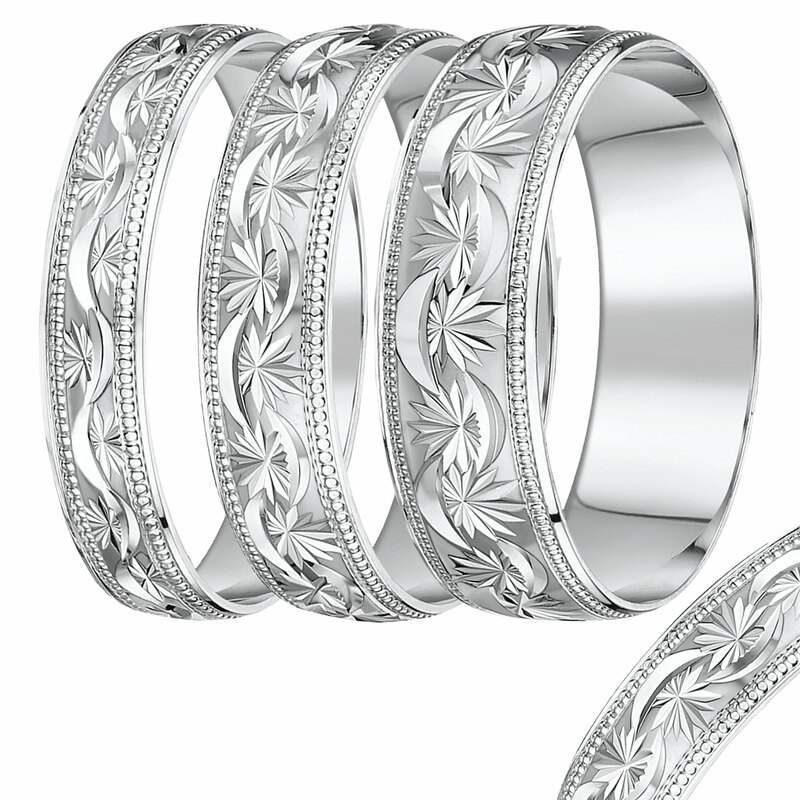 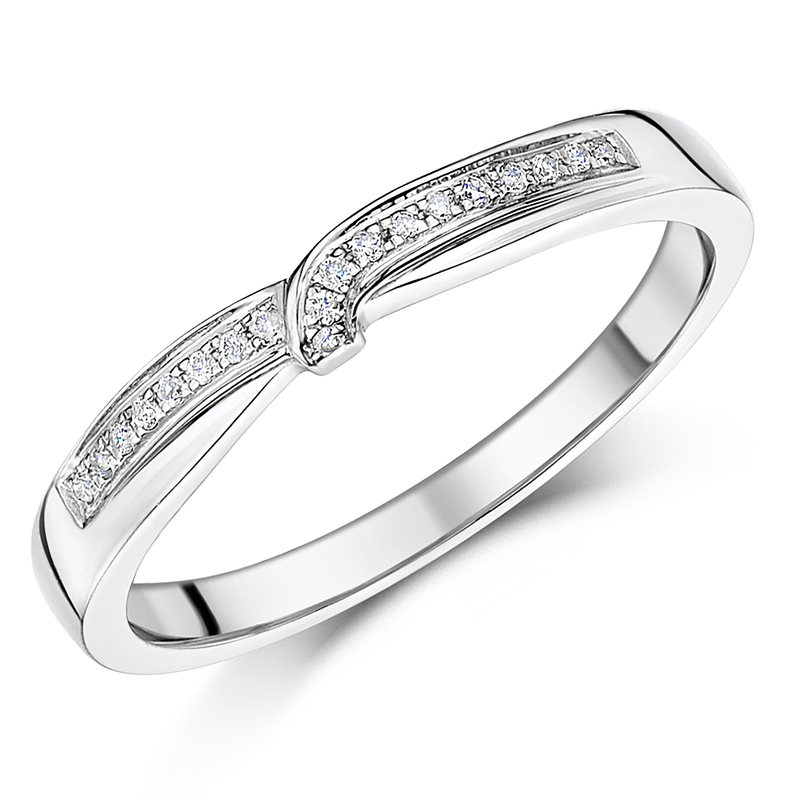 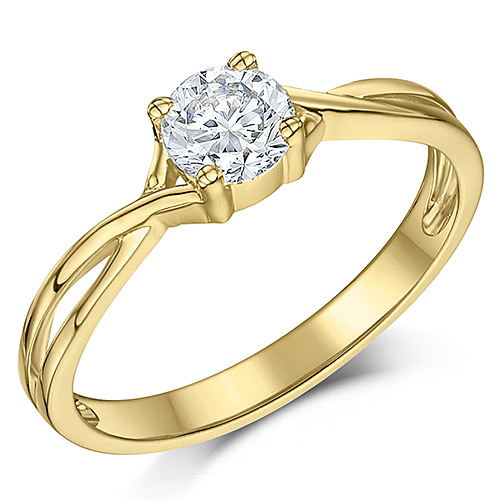 White gold diamond rings for women is not all that Elma has to offer. 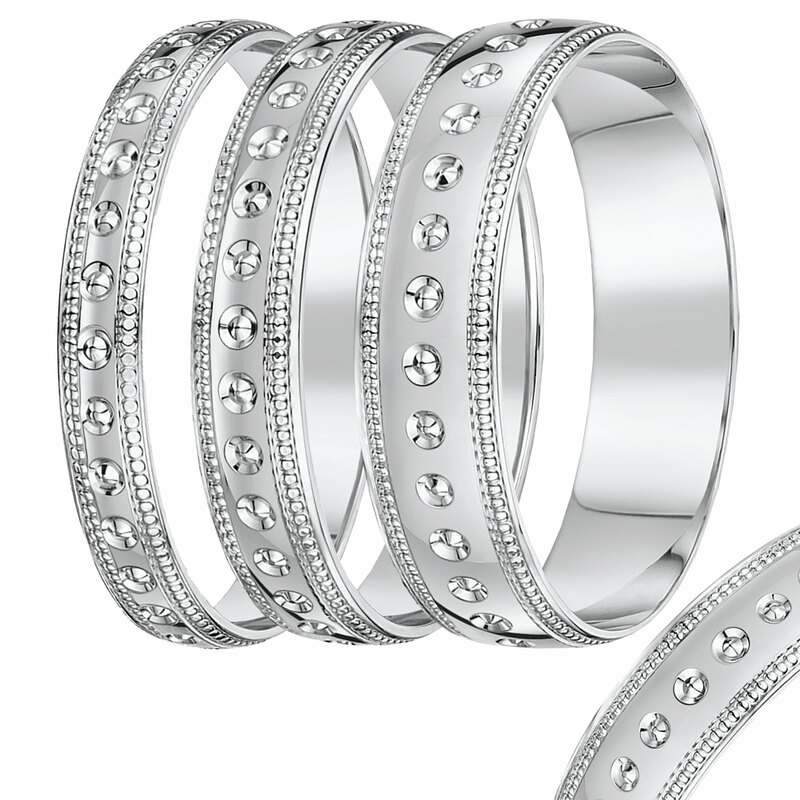 If you do not want diamonds in your ring, but like the pattern of diamonds then our diamond cut white gold rings can be a great choice for you. 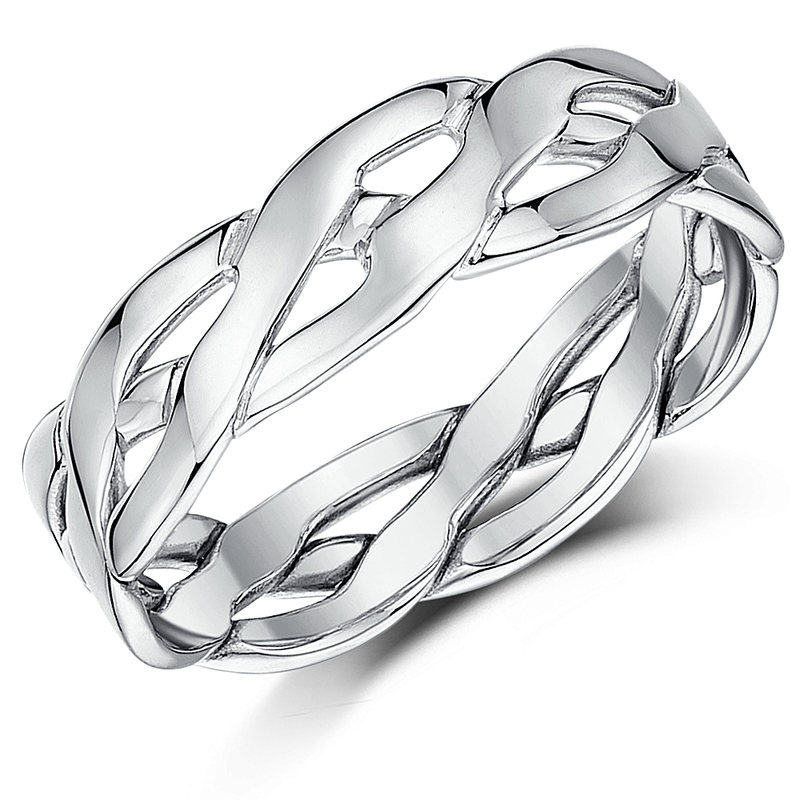 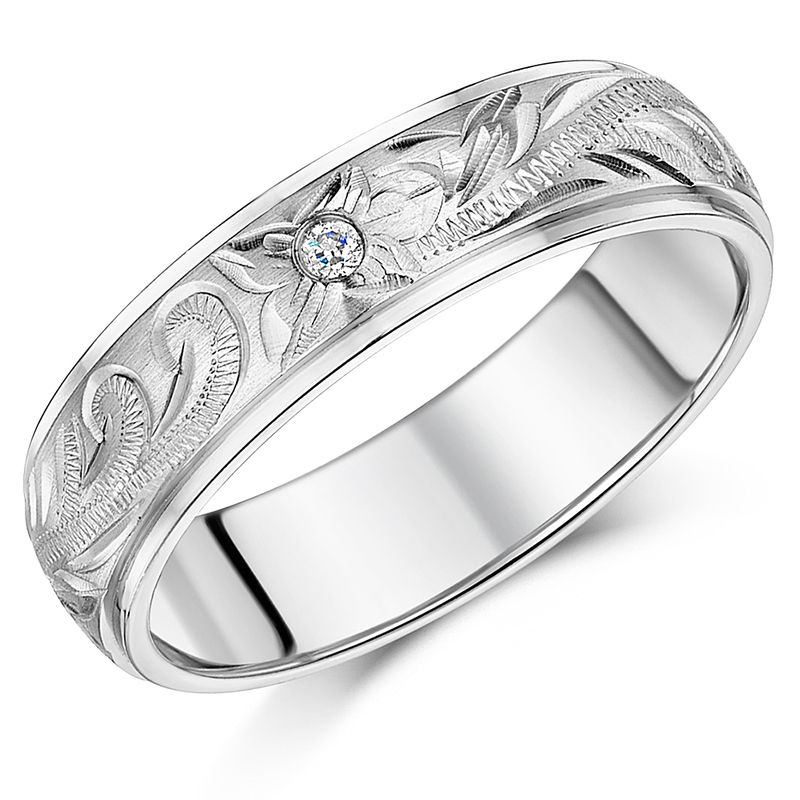 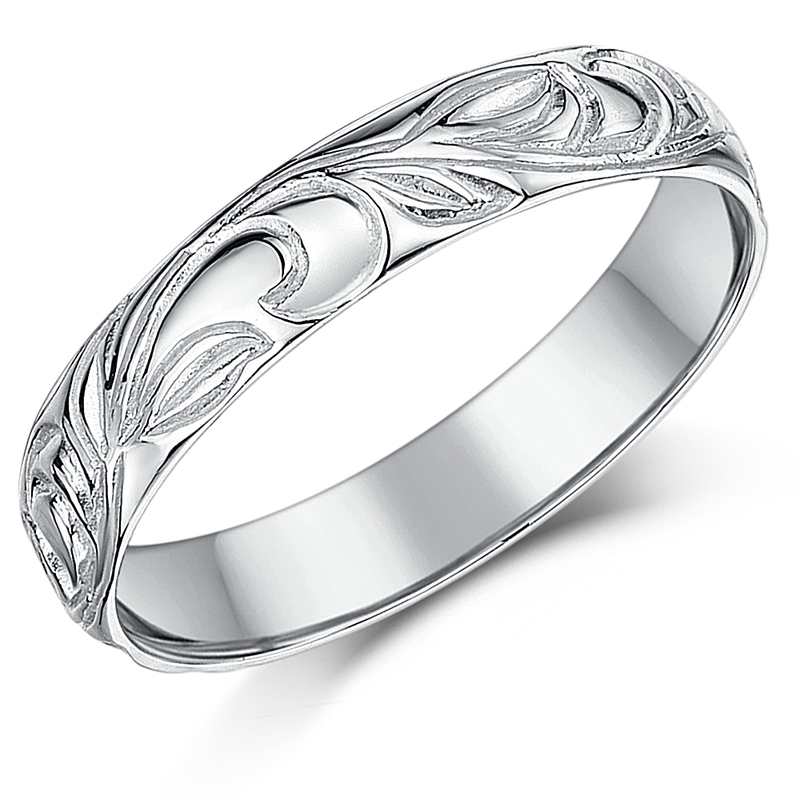 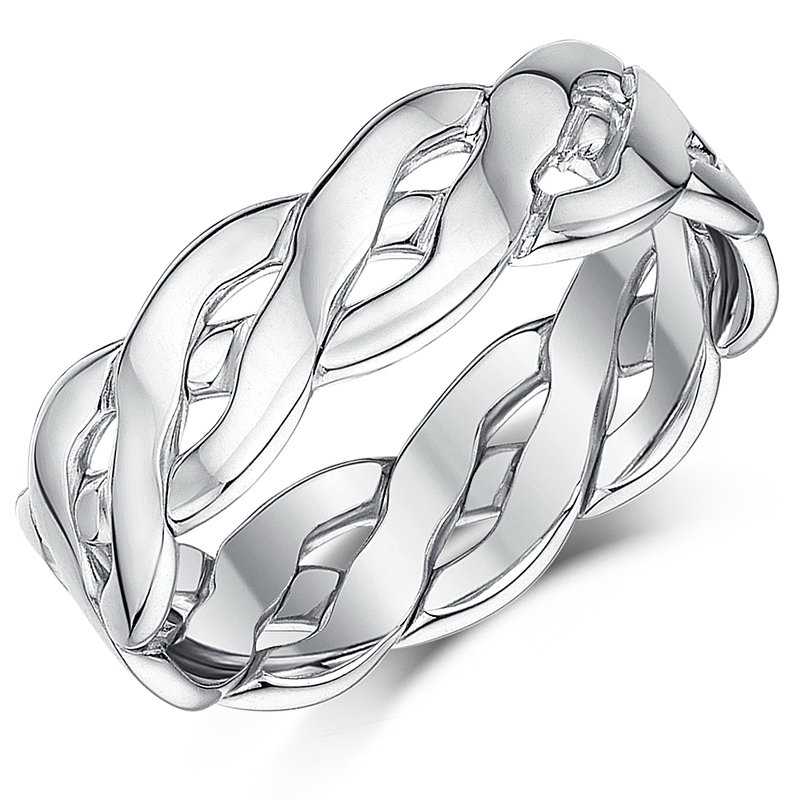 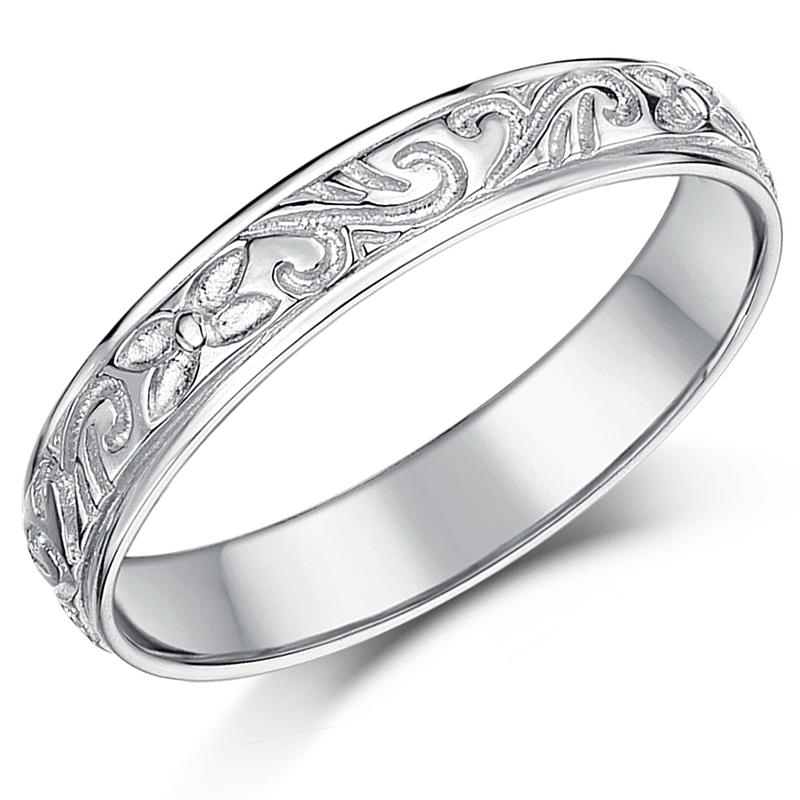 White gold crossover ring designs are also a beautiful addition in our patterned rings collection. 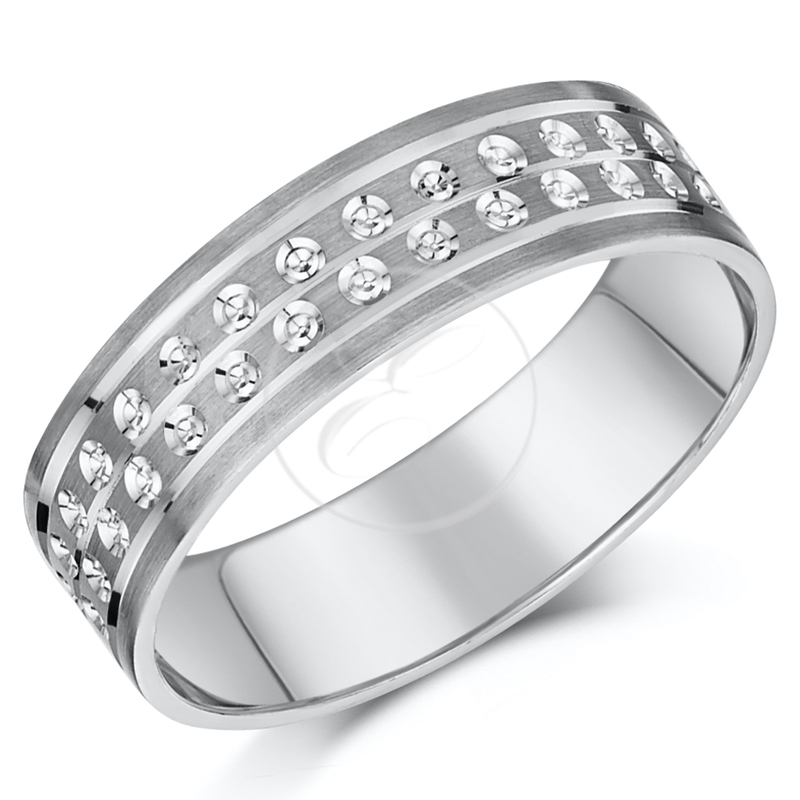 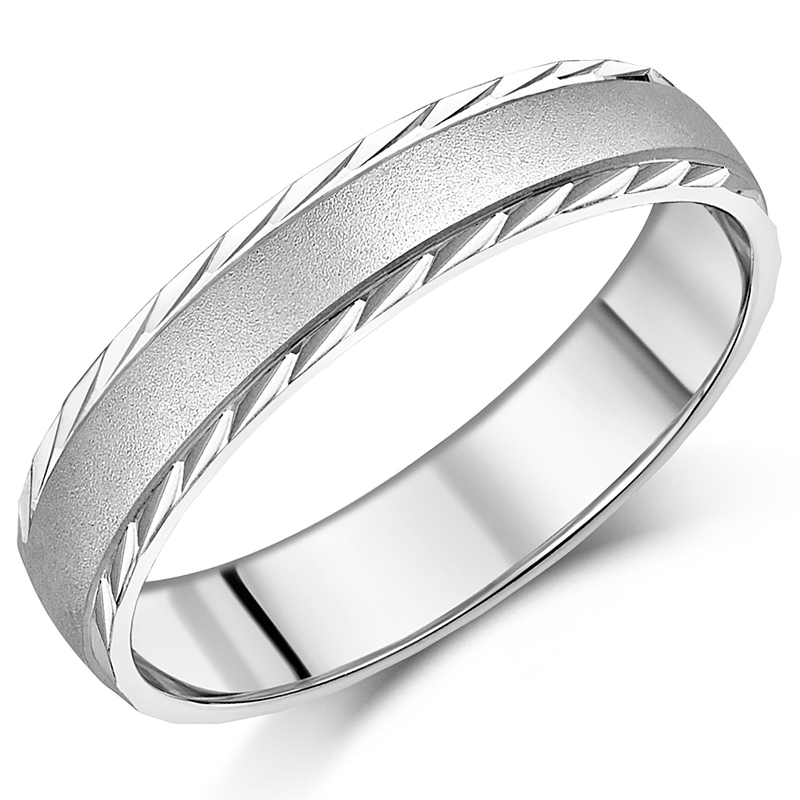 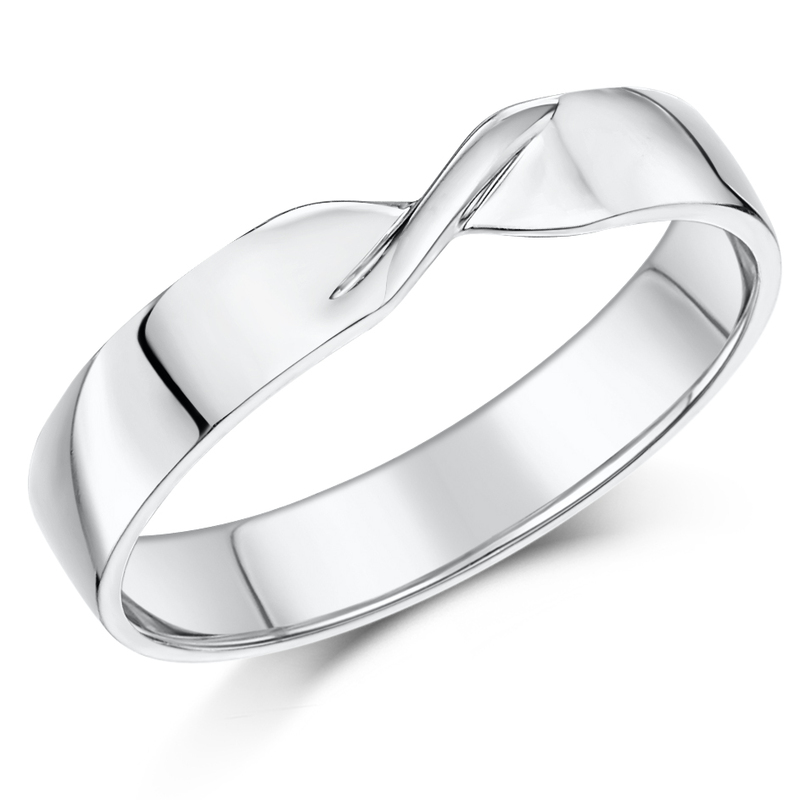 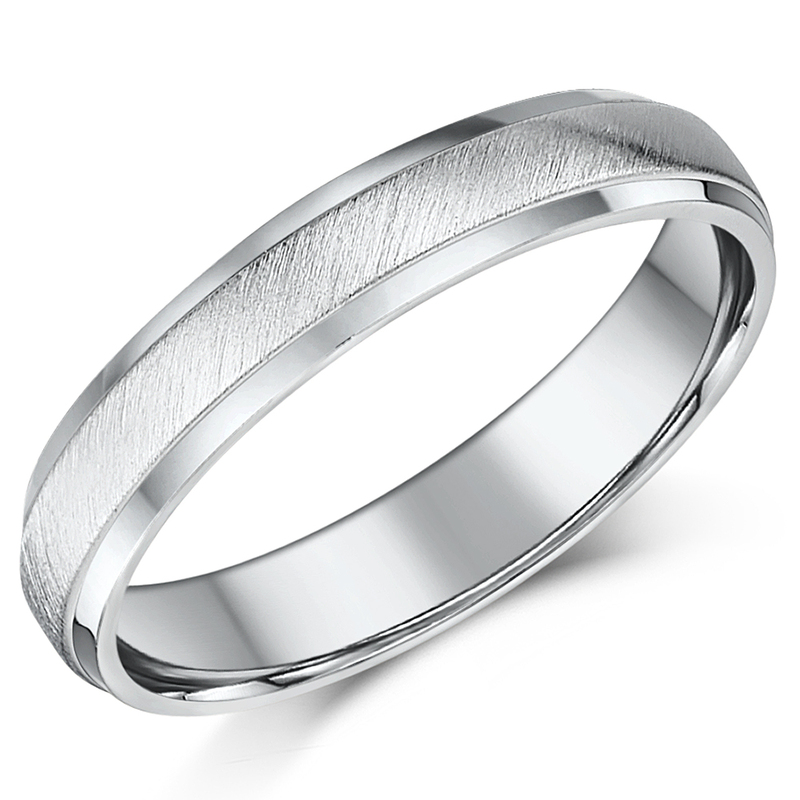 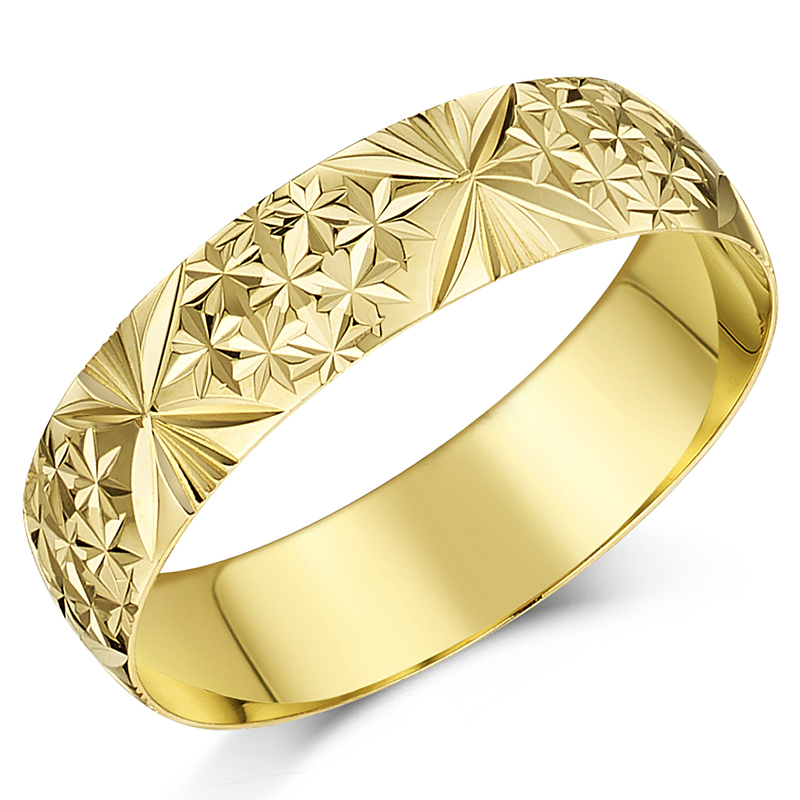 They can be worn as wedding rings as well as to celebrate other occasions in life. 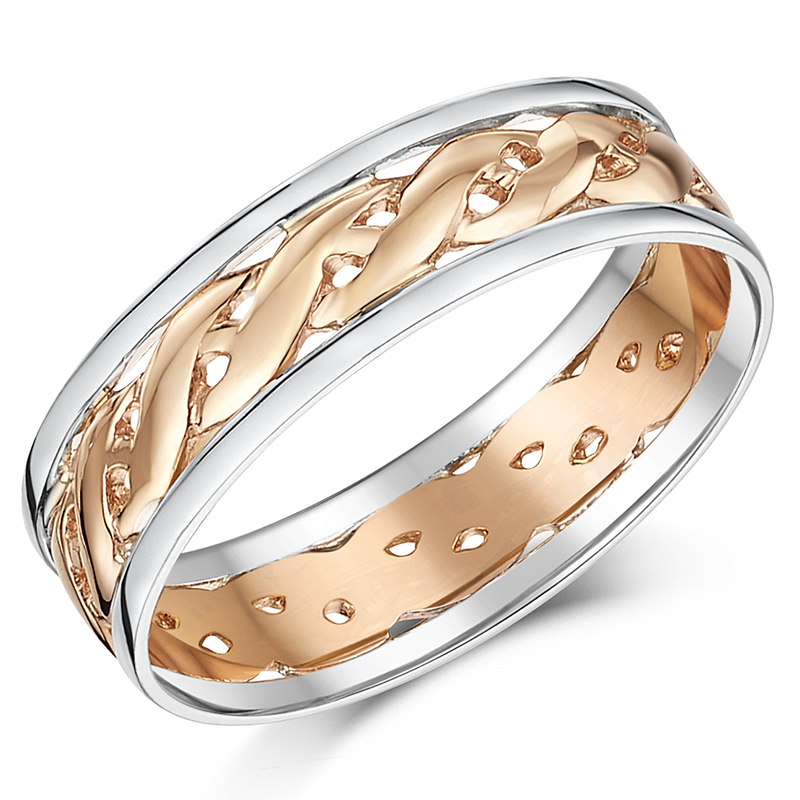 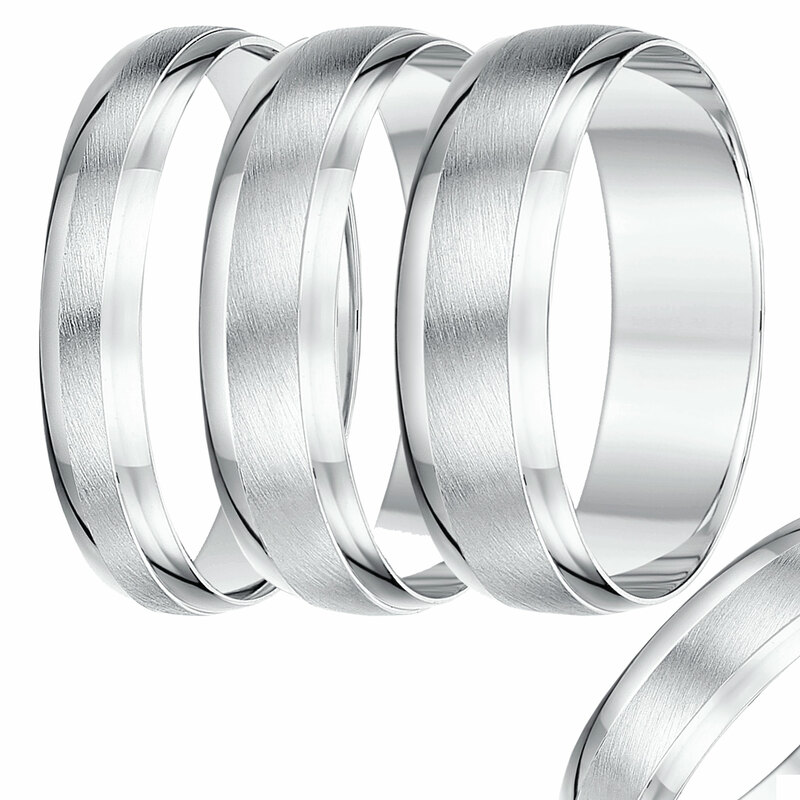 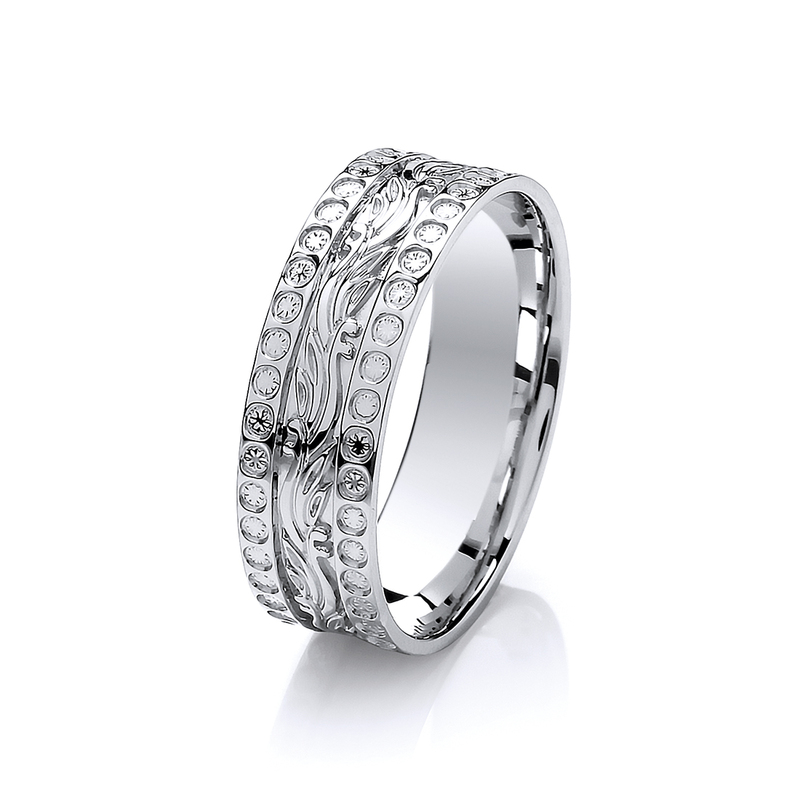 White gold dress rings are designed to be worn as an eye-catching accessory to accentuate your look. 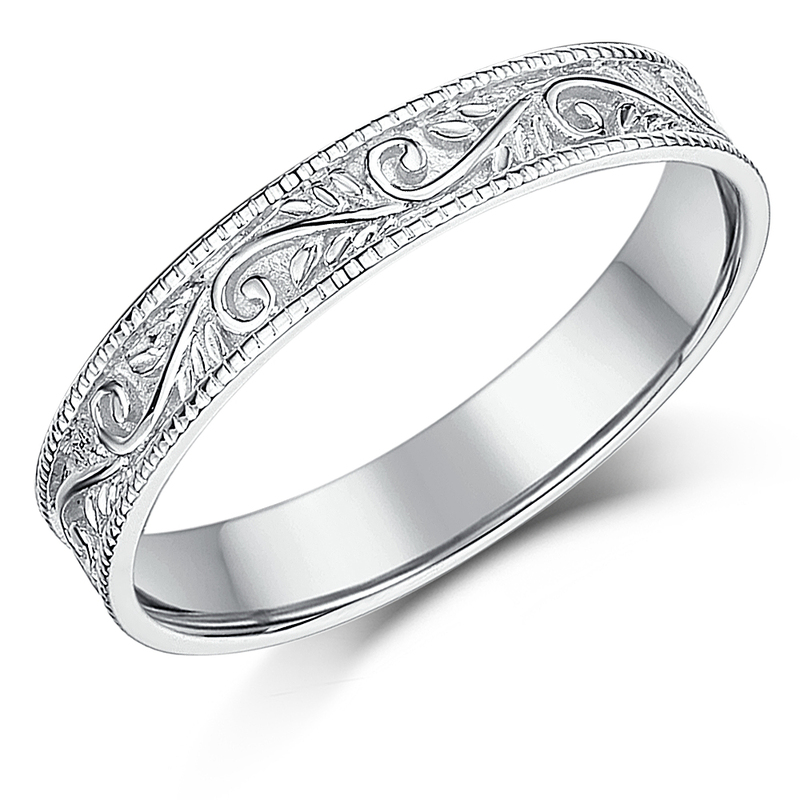 Browse through our collection of white gold patterned rings to find the perfect ring for every occasion.